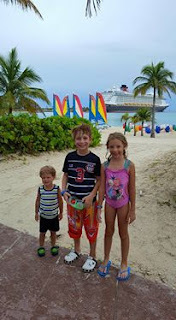 I recently went on my first Bahamian Disney Cruise with my husband and 3 young children after a week at Walt Disney World, a.k.a. a Land & Sea Vacation. It was an incredibly magical experience sailing on the Disney Dream, and I have already booked my next cruise! I knew it would be awesome, but didn't expect to be so completely impressed with every aspect of the cruise. From the magnificent dinner cuisine, to the Broadway-style shows, to the amazing customer service, Disney is truly unbeatable when it comes to family cruising. There are many, many cruise planning sites, blogs, and tips out there to sift through, (which I did my due diligence reading in preparation for my own trip) including the wonderful articles here on the Kingdom Konsultant Blog! First thing you should do onboard is go to guest services, put your Disney gift cards and credit card on file for charges and make sure you know your pin #! Make sure and do this if you didn't already add your credit card to your stateroom when you completed your online check-in. Ask for a complimentary stroller if needed, supplies are limited. Sit out on the aft balcony for lunch, it's the only place where you can eat "outside." Wear your swimsuits under your clothes, so you can swim right away. There are only 2 bathrooms on the pool deck, and they are tiny, and everyone wants to change in them after lunch. Take a lanyard with a clear, plastic card holder at the bottom (or buy some when you get onboard for everyone), because you need your Key to the World card often. Take some tape with you to secure it into the lanyard so it doesn't fall out. Onboard activities, movies, and event times are often scheduled very close together, even back to back. It's near impossible to make it to the events on time that are back to back. Accept that you just cannot do everything on one 3-night cruise, so don't try to...it just makes things stressful. Before the Sail Away Party, we went to the Oceaneers Lab to take the Open House tour and got the kids their Magicbands. The bands are $12.95, but you will get a refund for returning them on the last night. My kids kept theirs though as they unlock special things on Disney Infinity. The kids can sign themselves in and out of Oceaneers Club only if you give them check-in permission when you enroll them the first time. 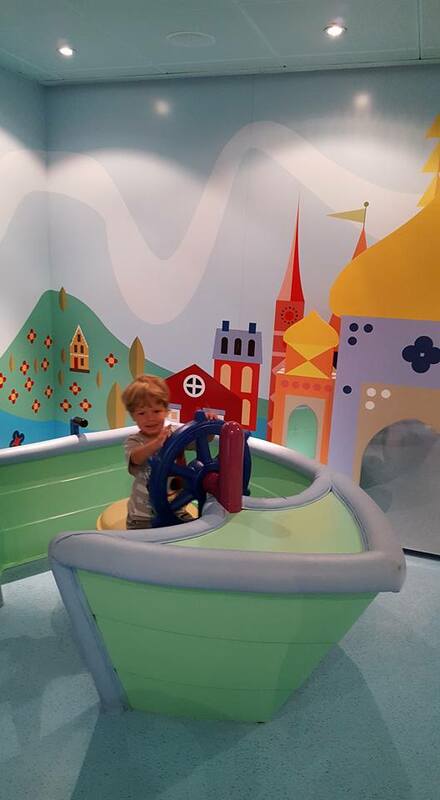 Small World Nursery will let you do a 5 minute "test" with your little one to see how they do before you leave them. We would let them leave dinner when they were done eating to go play in Oceaneers Lab while we finished our dinner quietly and then picked them up afterwards for the show. If your child or picky toddler doesn't see anything on the menu that they want, ask for an Uncrustables PB&J, and the server will bring one to you. On Castaway Cay, be sure to grab your child a life jacket even if they are good swimmers, because there are a lot of deep spots that are about 7-8 feet, even near the water playground. You wouldn't expect it to be as deep as it actually is. You will get beach towels for the island before you get off the ship but ask for a few extras unless you're bringing your own, because they don't have any for use on the island. Drop them in the used towel bins before walking back to the ship. Each day there's a Drink of the Day which is about half of the price of other mixed drinks. It's typically listed on the Navigator schedule each day, otherwise ask a server. If it rains on your Castaway Cay day, they will add activities onboard the ship. The kids enjoyed a pin trading meet, an animators drawing class and Dream Quest, a family scavenger hunt. You only need to rent 1 water tricycle per family. You have 30 minutes to use it, so that is plenty of time for two groups to take a spin on one trike. All 3 bunks down, still plenty of room! The DCL channel on the stateroom TV explains everything you need to know about the cruise including disembarkation rules, procedures, shows and activities. It plays over and over so if you need to know any information, and the guest services desk is busy, just turn on that channel. They make overhead announcements for EVERYTHING, so you're never in the dark about what's going on. There were pretty long lines for the AquaDuck slide in the daytime, so swim and ride the slide after dinner because the wait times are 5 to 10 minutes at night. We rode it over and over on the last night because nobody was up there! Bring a sweatshirt to the movie theater and dinner if you get cold easily. Swim diapers are not allowed in the pools, so your baby or toddler must stay in the splash pad area, if they aren't potty trained, which is Nemo's Reef on the Dream. Bring some magnets for your door! Many guests decorate their doors with photos or Disney characters, along with Fish Extenders. Take care of your stateroom account charges at guest services on the LAST NIGHT, not the last morning. The line was about 100 people long at 7am on disembarkation day. Pay gratuities on the LAST NIGHT also. These amounts can be modified if needed at guest services. Pack light! I didn't use half of my clothes. It was nice to have 2 swimsuits and not have to wear a slightly wet one the next day. You have up to 2 years to pick your next cruise date. You will get a $200 onboard credit from Disney for 7-night cruises or longer, and a discounted rate. You will also receive Kingdom Konsultant's onboard credits if you book again with your Kingdom Konsultant agent! Many people associate cruising with an adults-only vacation. 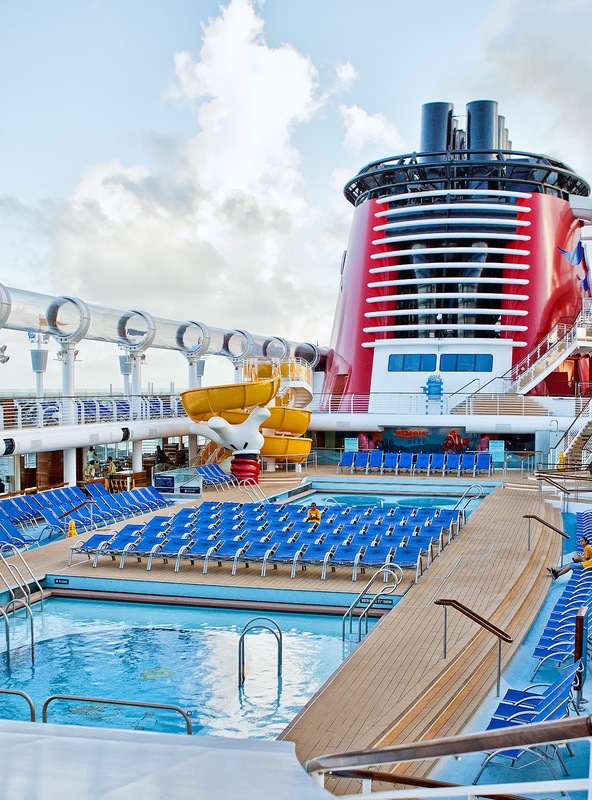 Disney Cruises are truly made with the family in mind. I had no problem taking my kids who were 2, 8, and 9 on the Disney Dream and finding everything we needed, even for the toddler. 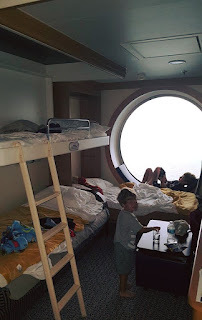 The Deluxe Family Oceanview Stateroom was perfect for us (although I want a verandah next time!) and the bunk beds were great! My kids loved the round bathtub and I loved having a split bathroom so two of us could get ready at once! Our stateroom host and servers treated us like royalty. 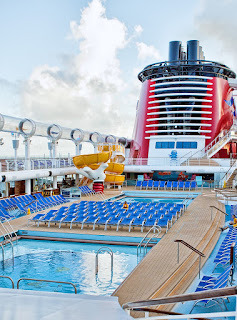 Disney Cruise Line is absolutely wonderful for everyone ages 1 to 101! If you're ready to book your Disney Cruise, contact your Kingdom Konsultant Agent today! New to cruising? Get a free, no obligation price quote by emailing Vacations@kingdomkonsultant.com.